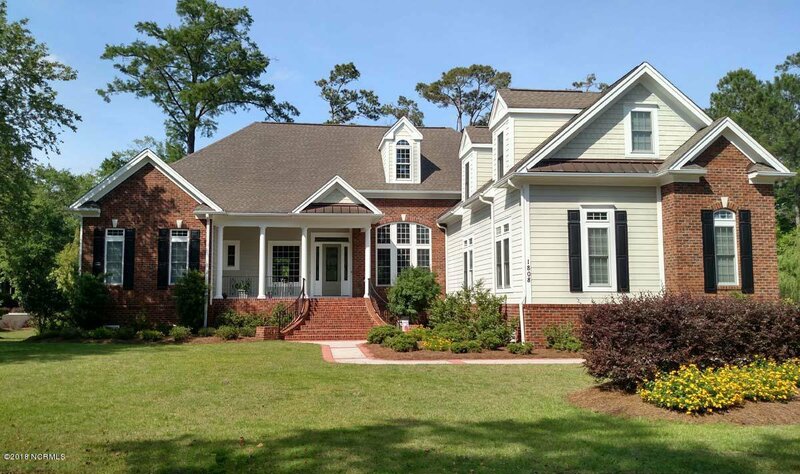 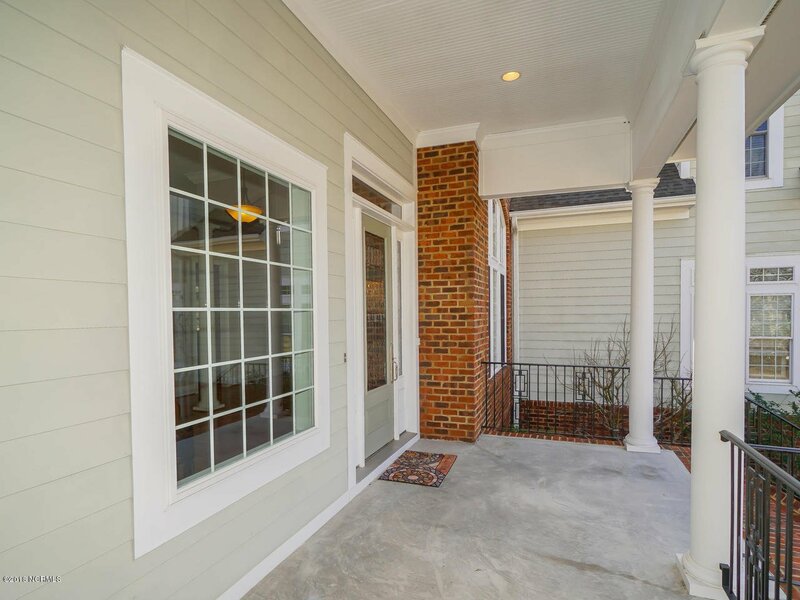 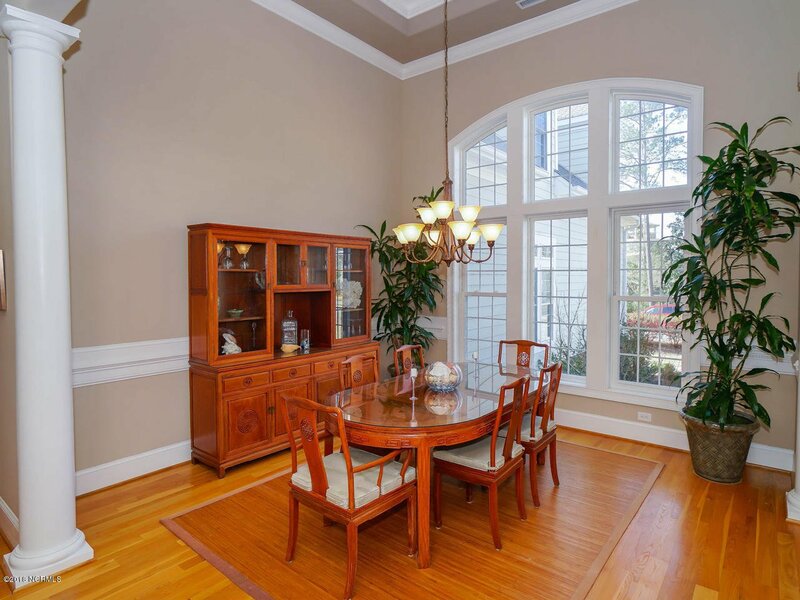 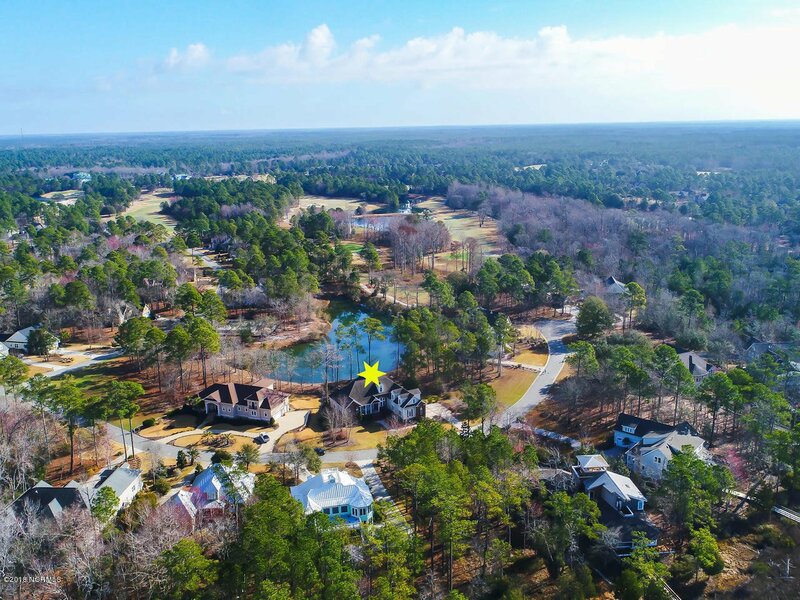 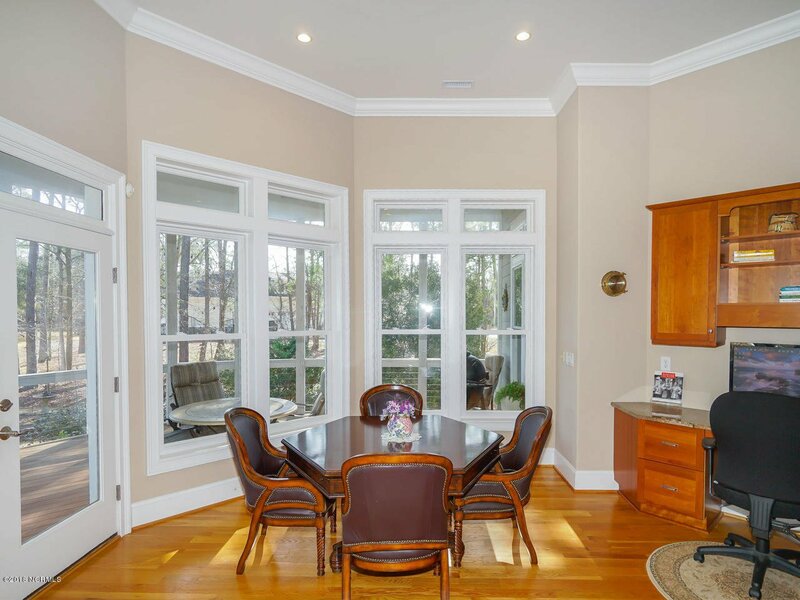 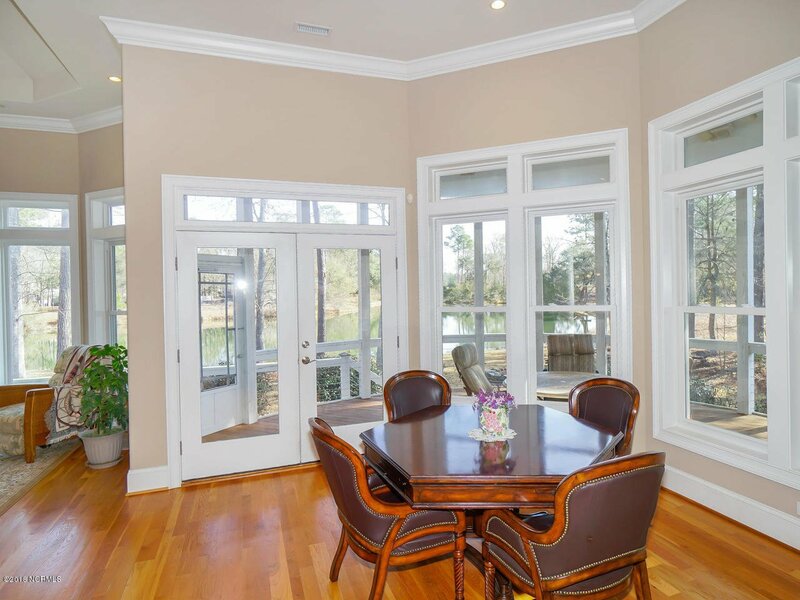 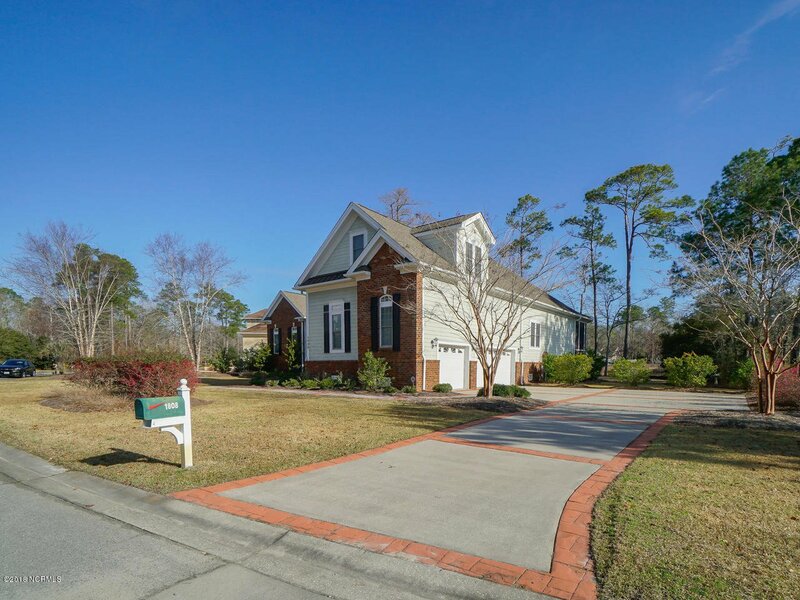 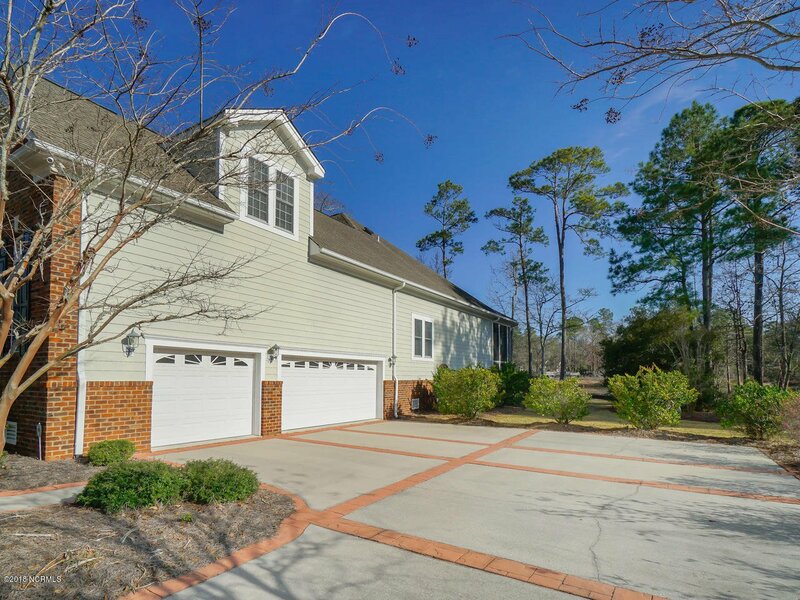 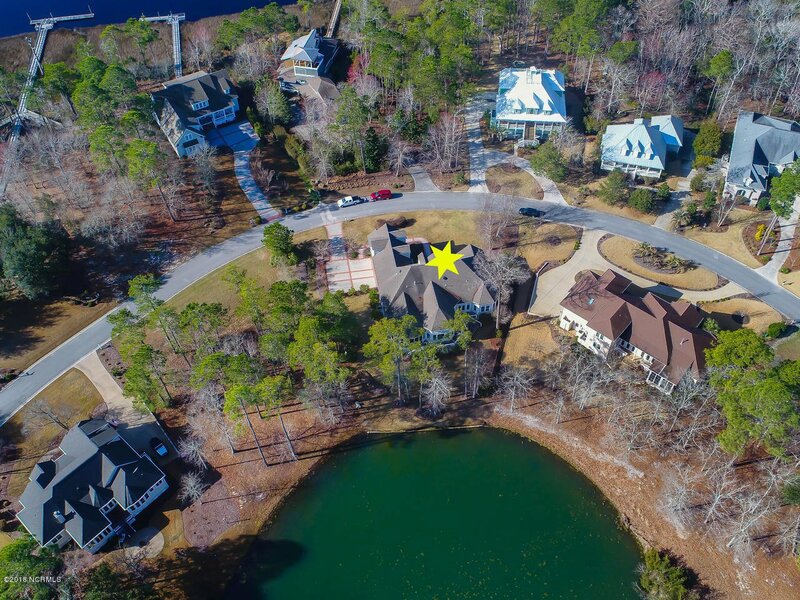 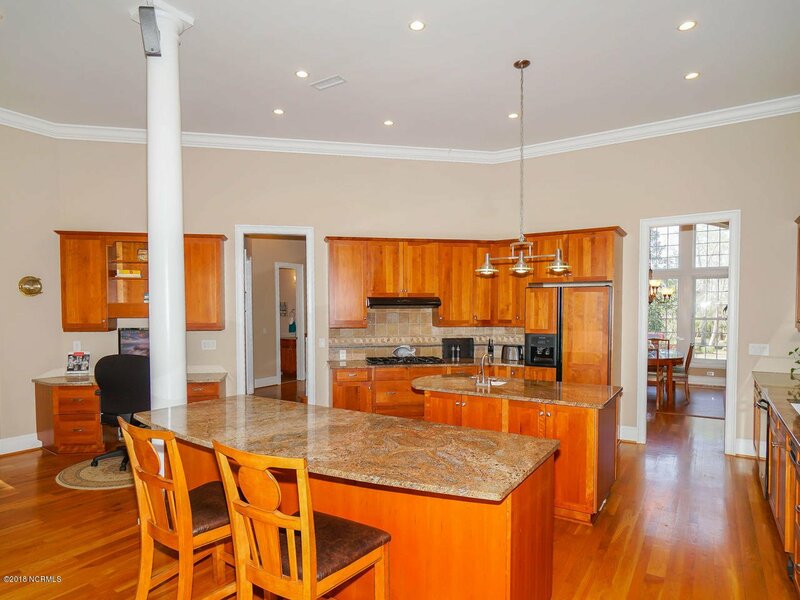 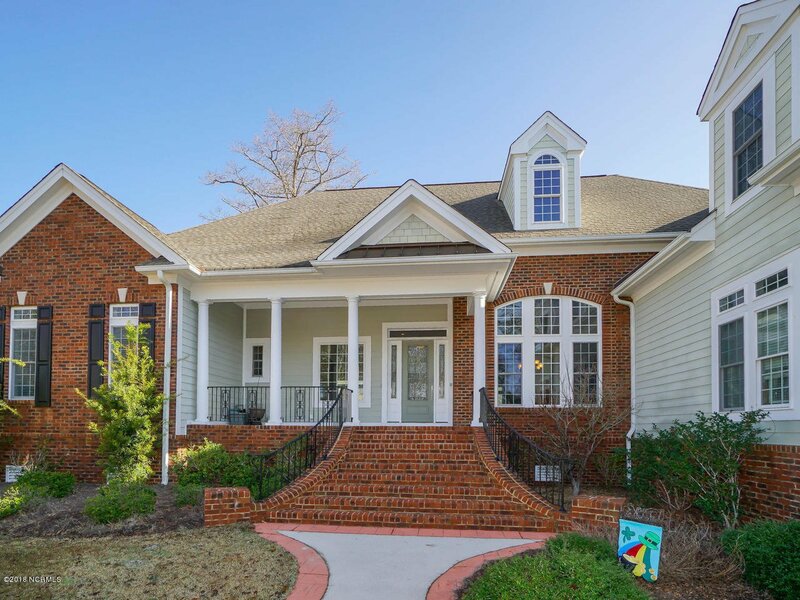 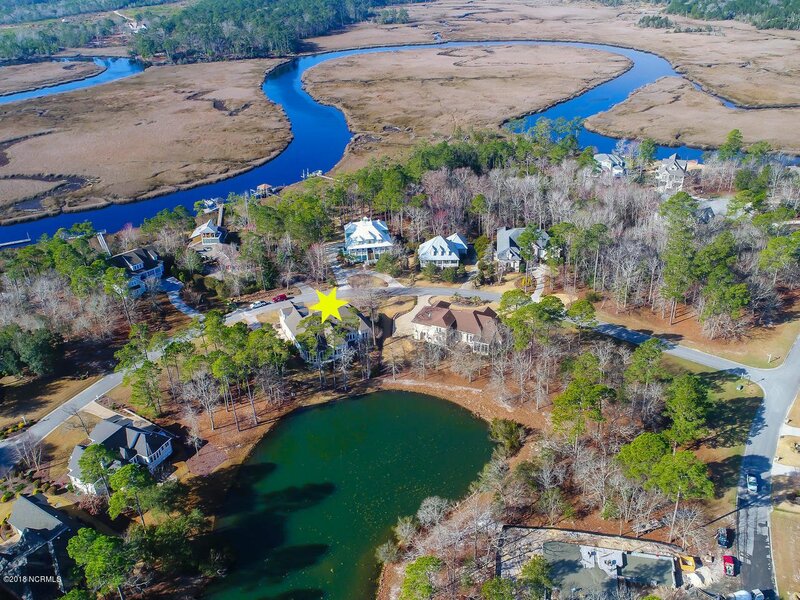 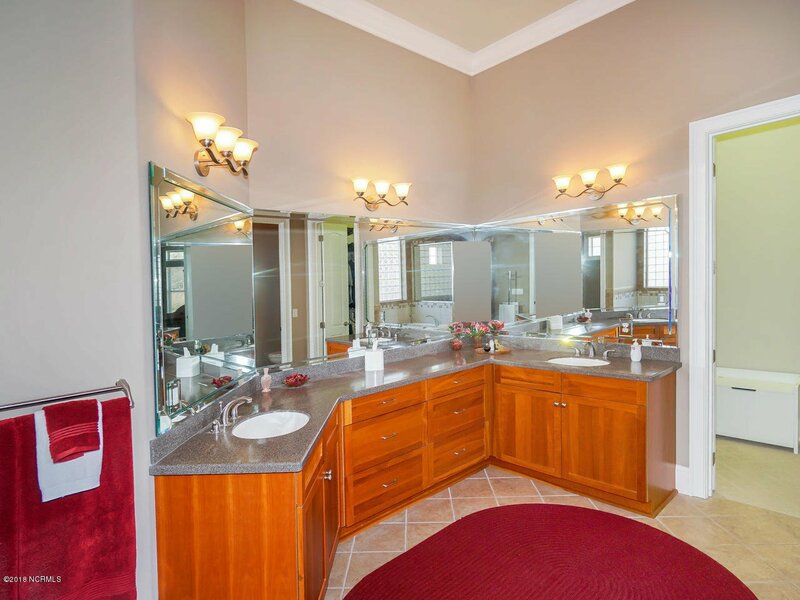 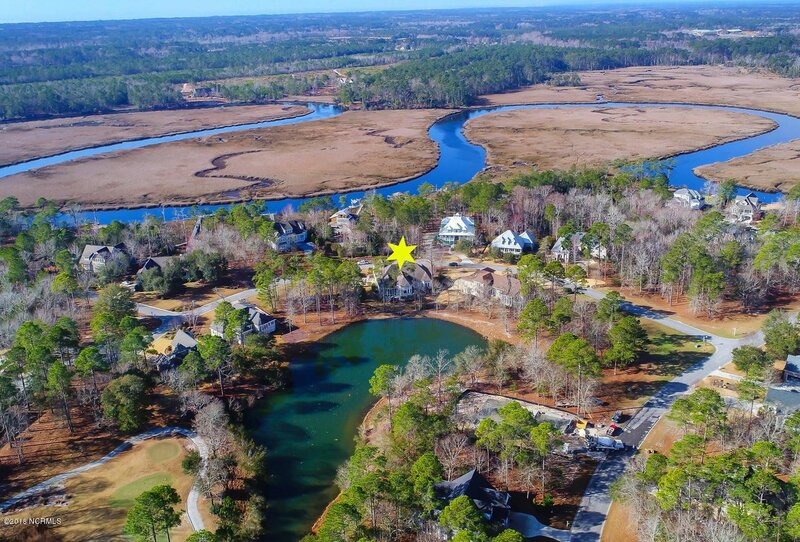 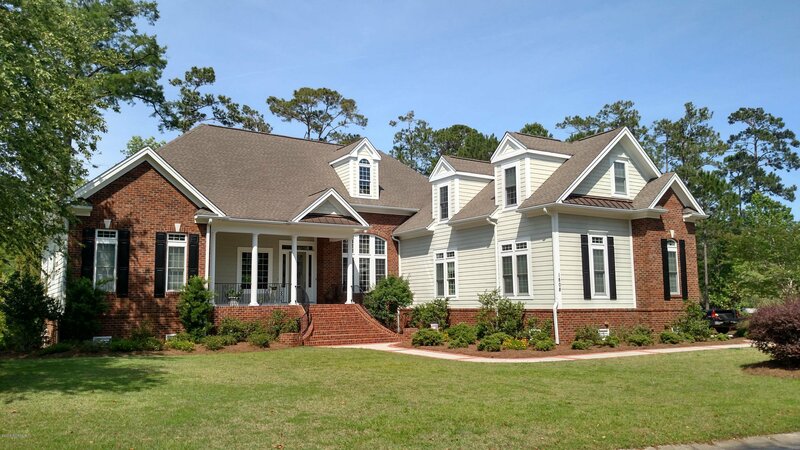 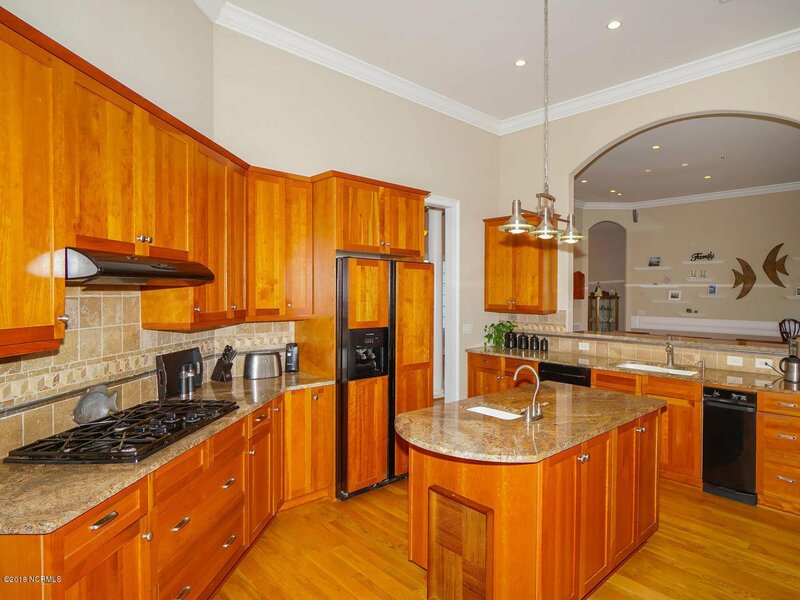 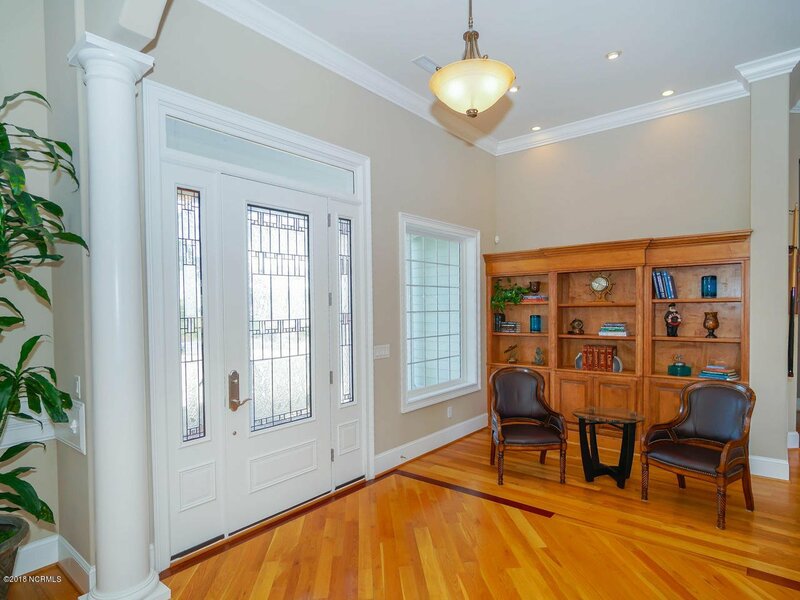 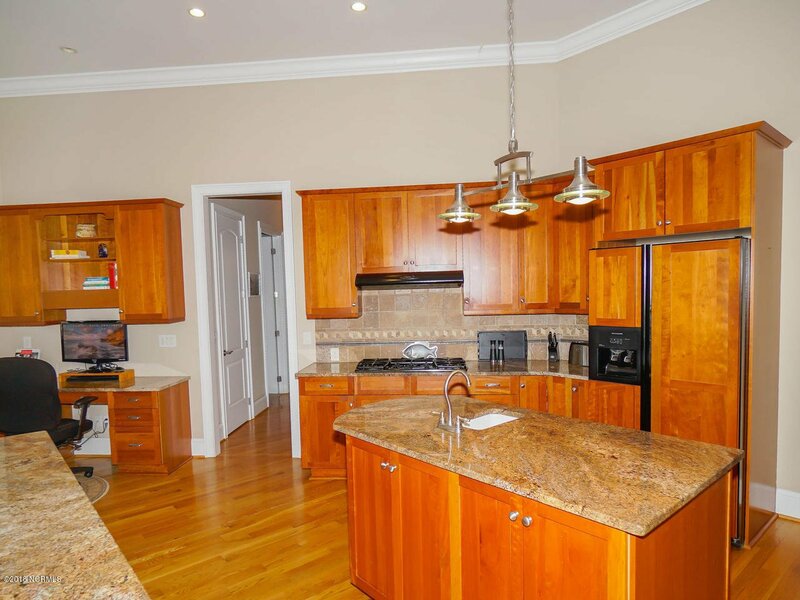 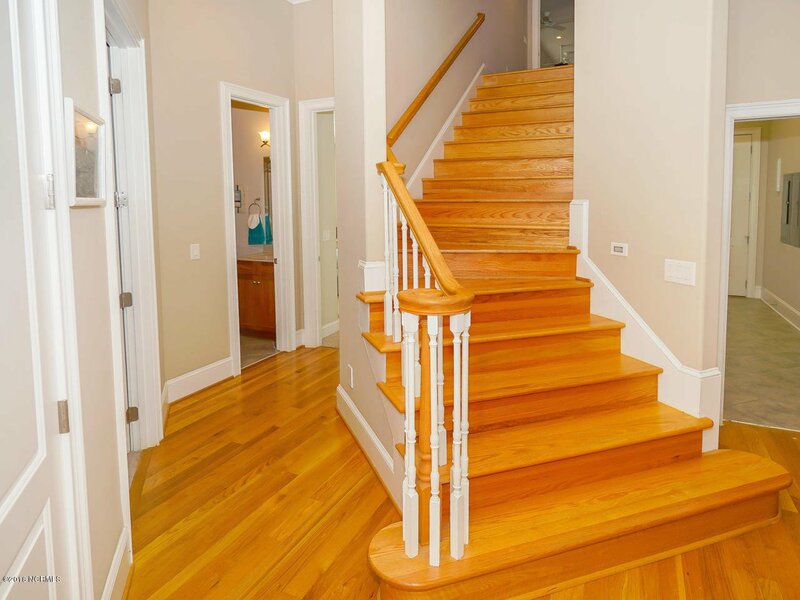 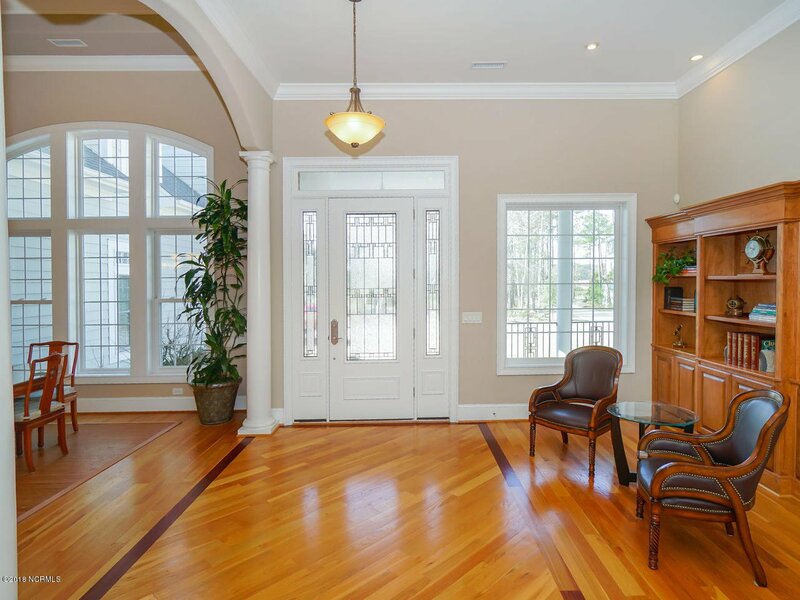 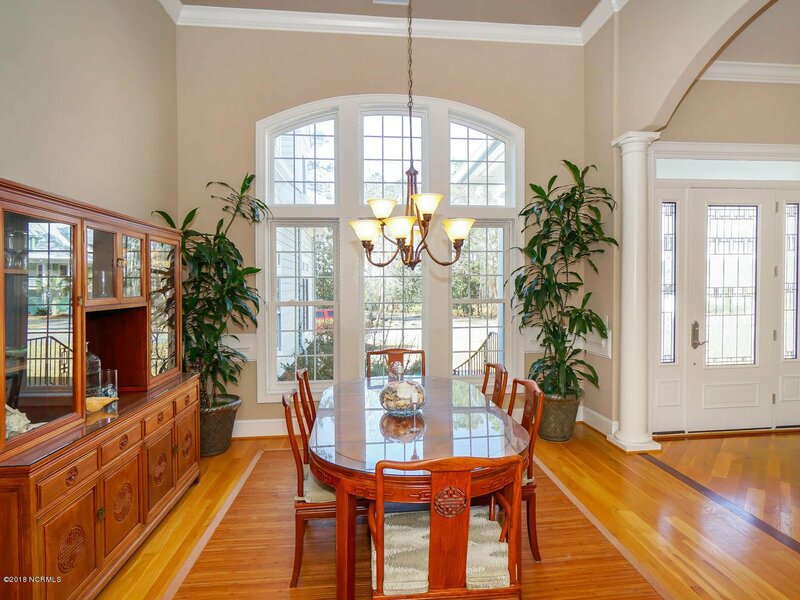 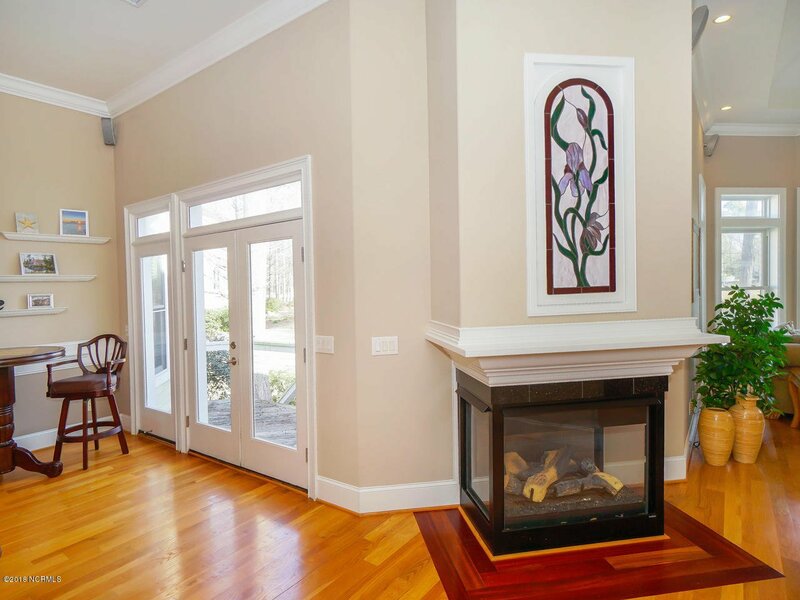 This gorgeous 4BR/3.5BA home has a 3-car gar. 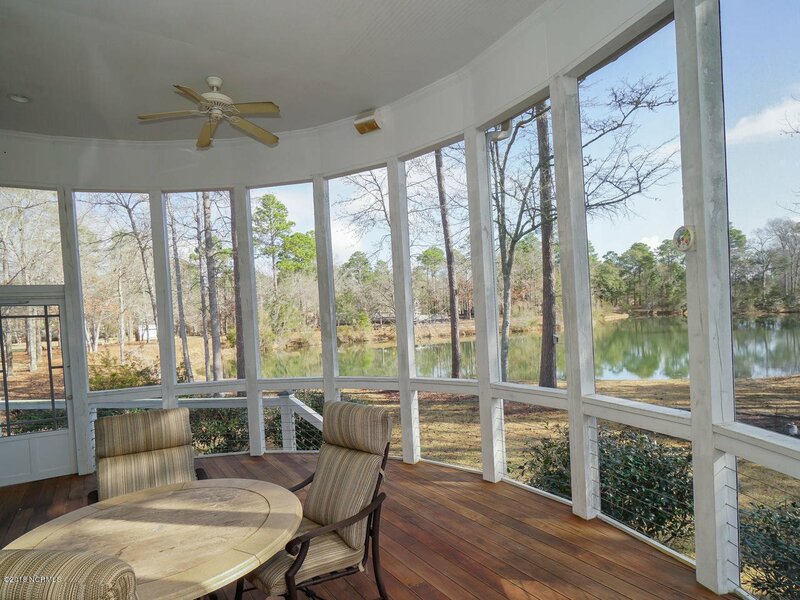 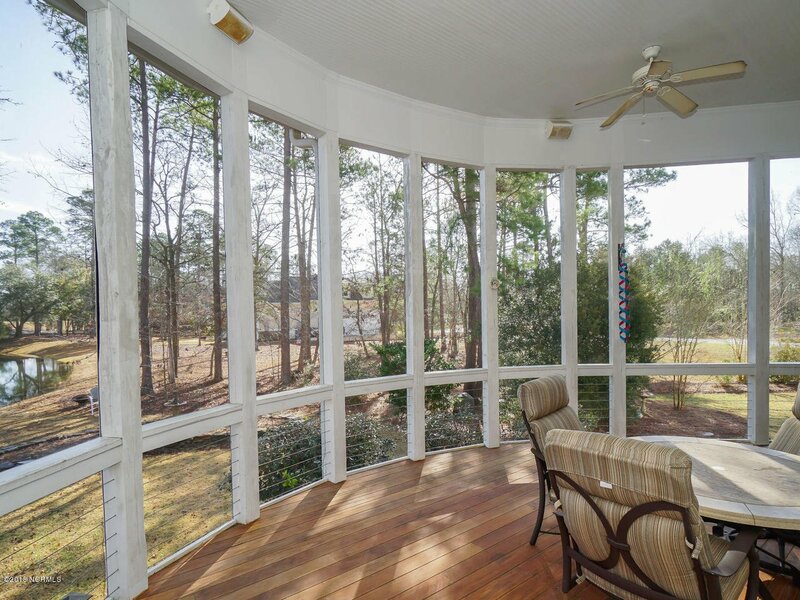 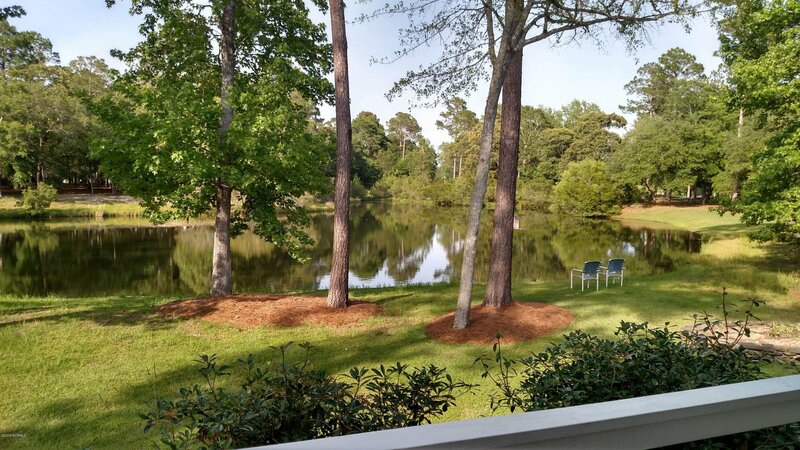 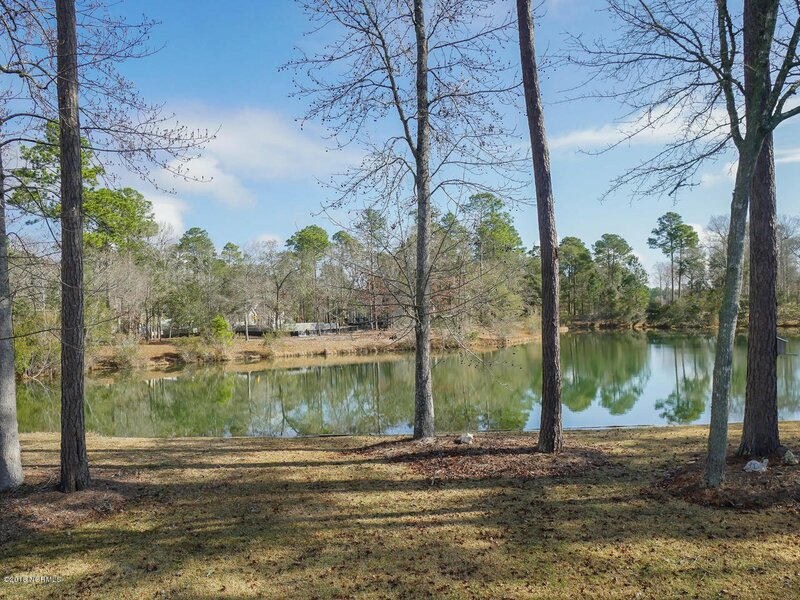 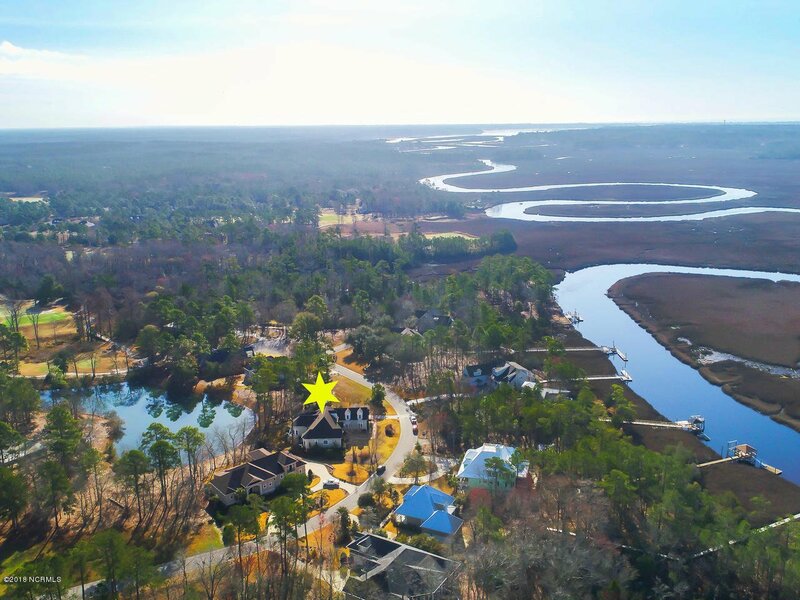 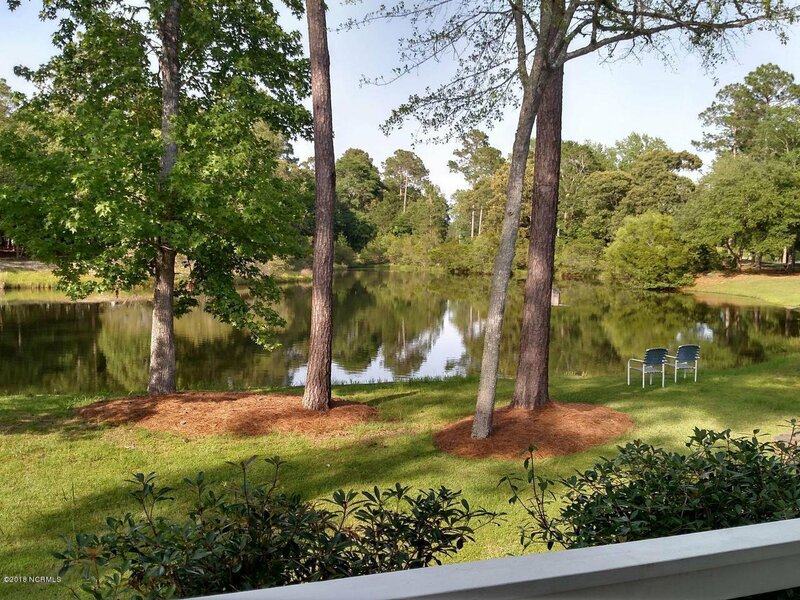 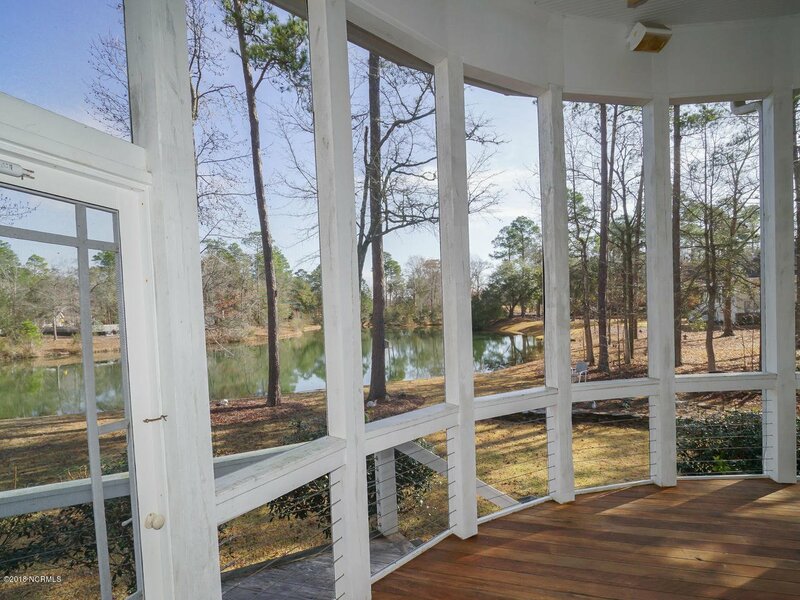 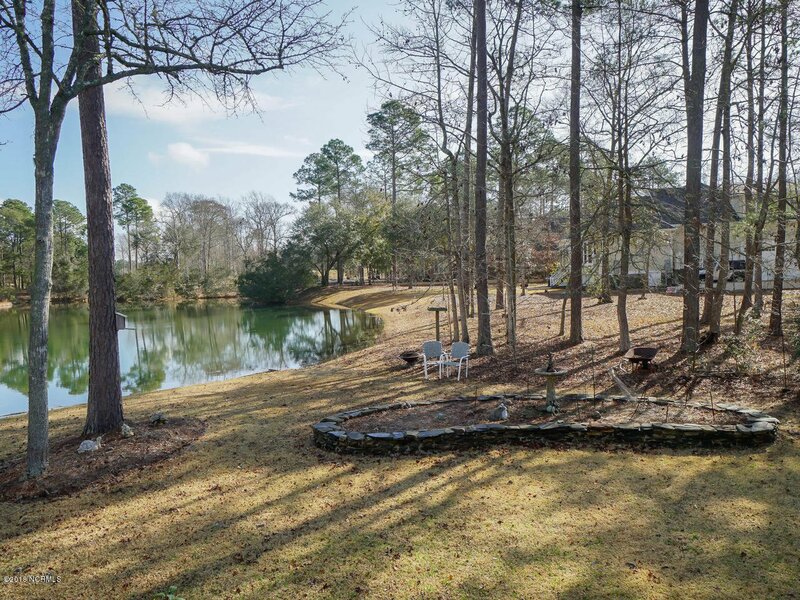 & overlooks a 2 acre pond & the 8th hole of the Heron golf course & is across the street from the Lockwood Folly River. 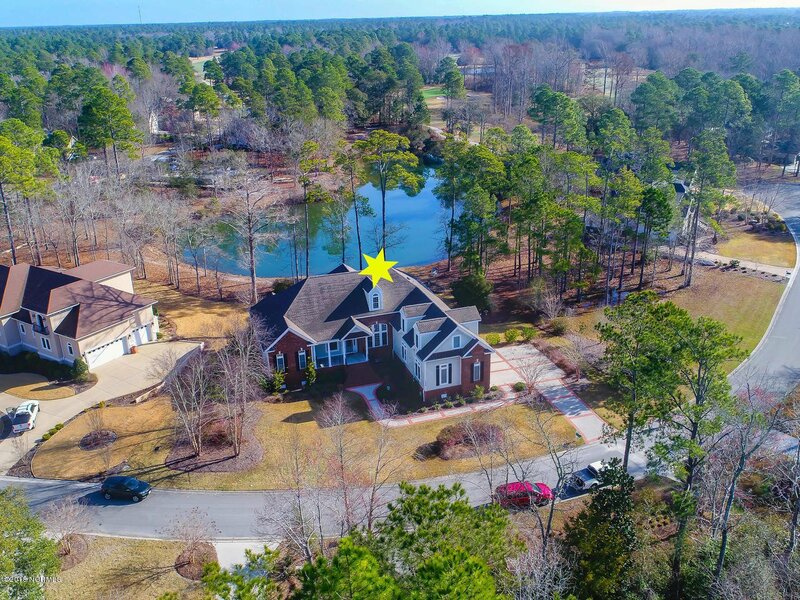 New Roof was just put on 3/2019 & crawl space was encapsulated w/dehumidifier 2/2019.. 2 new gas paks installed April, 2019. 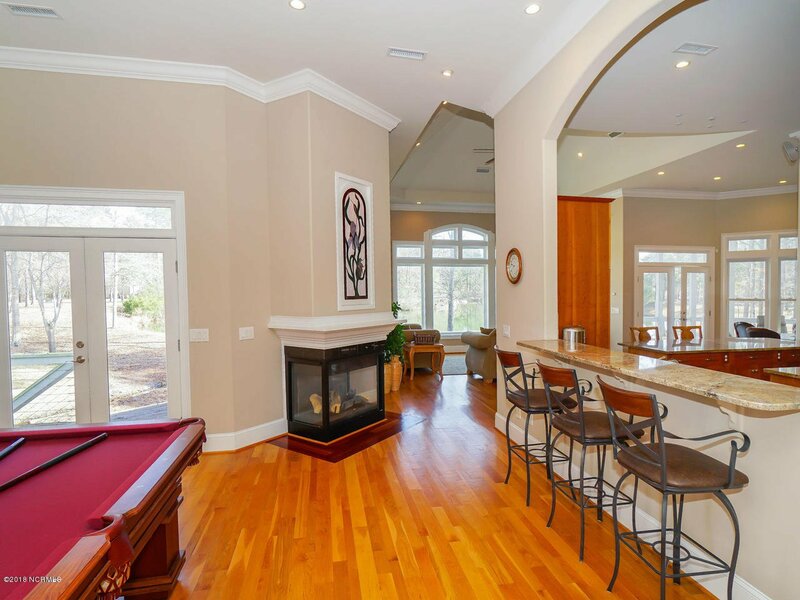 The open floor plan is ideal for entertaining. 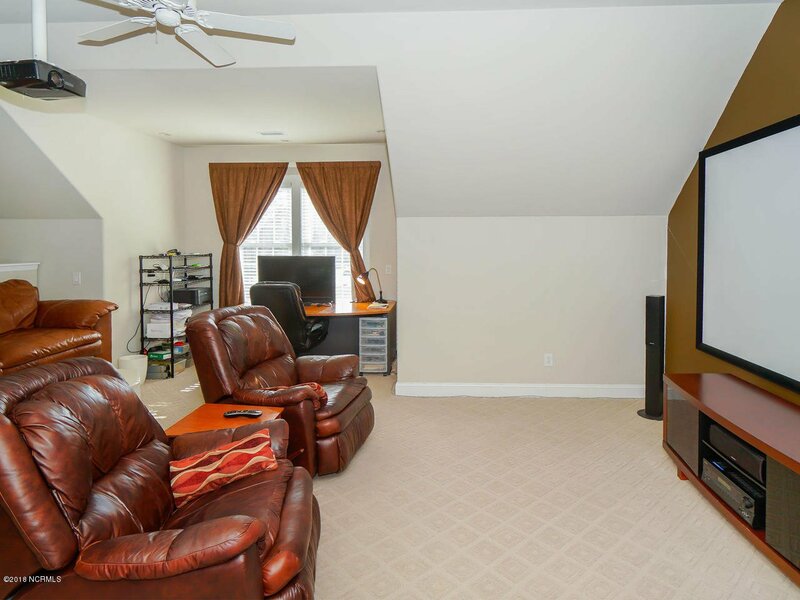 Rec Room can be converted to Fam. 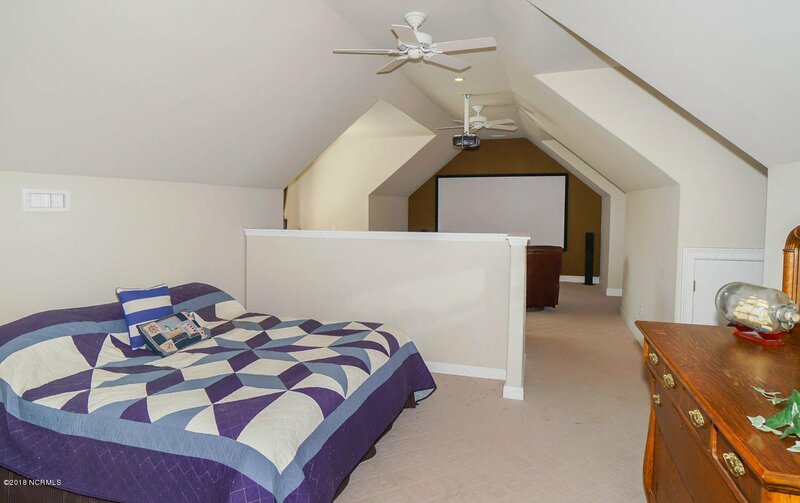 Rm, if so desired. 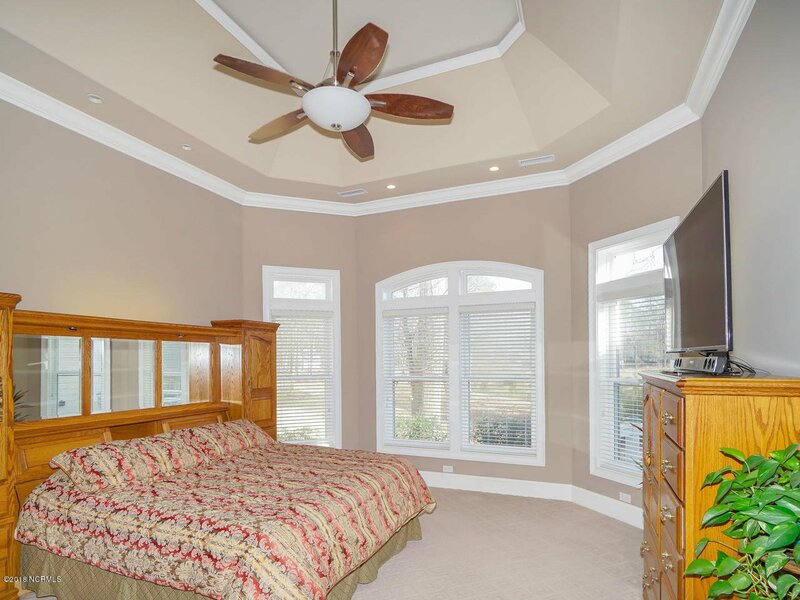 Dbl hung insul. 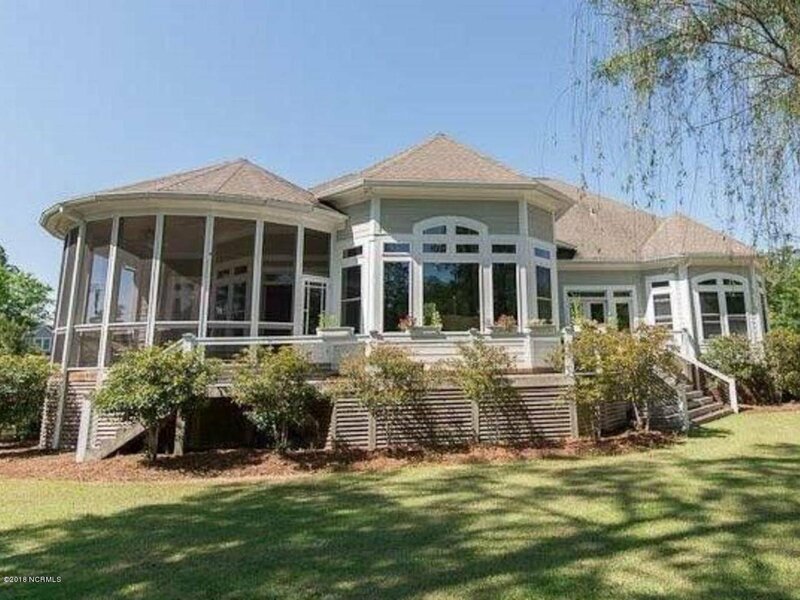 windows across the back of the home. 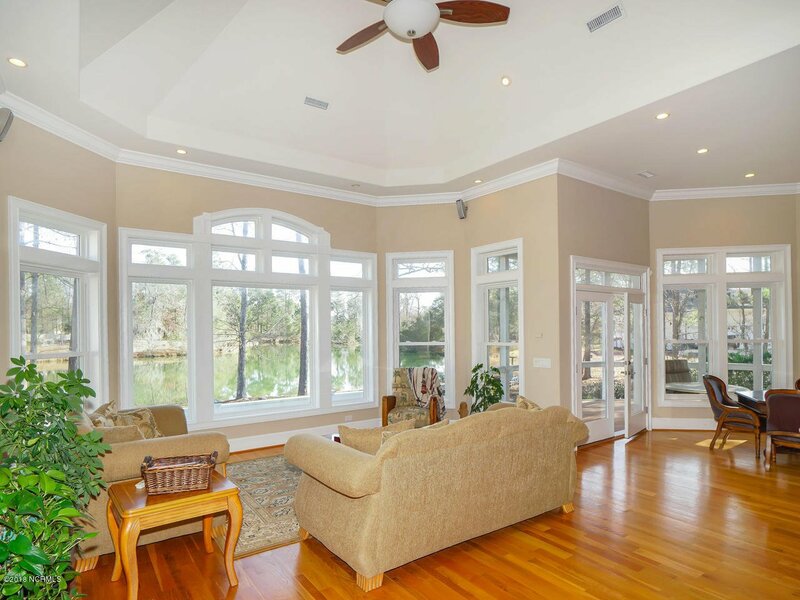 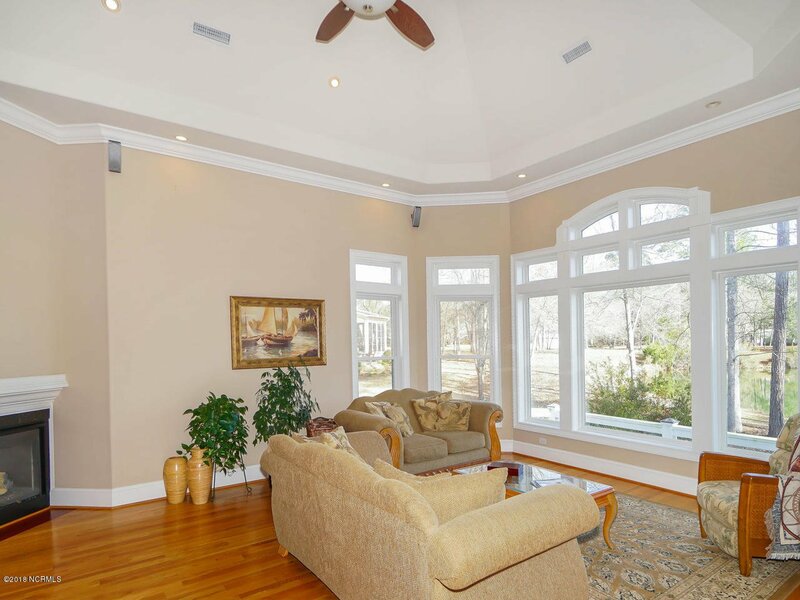 12' ceilings w/82 custom can lights & many architectural features add to the beauty & character of this lovely home. 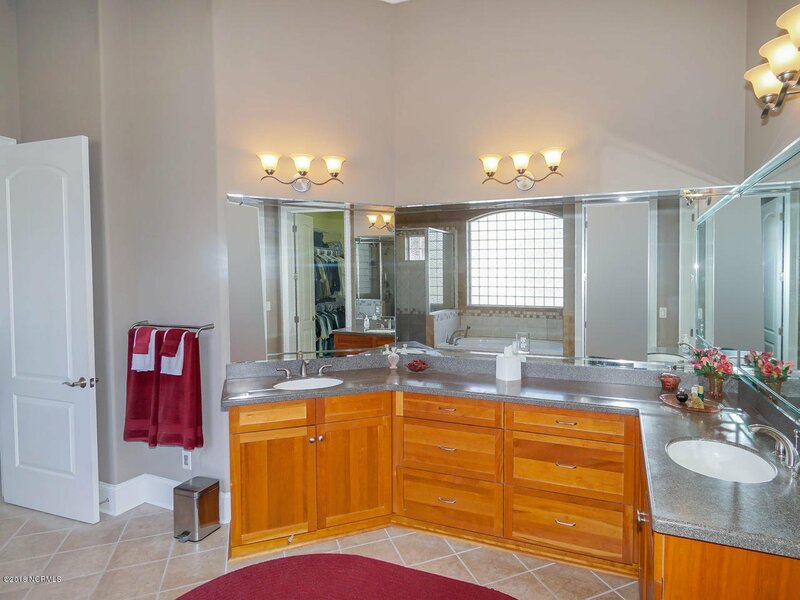 The gourmet kit. 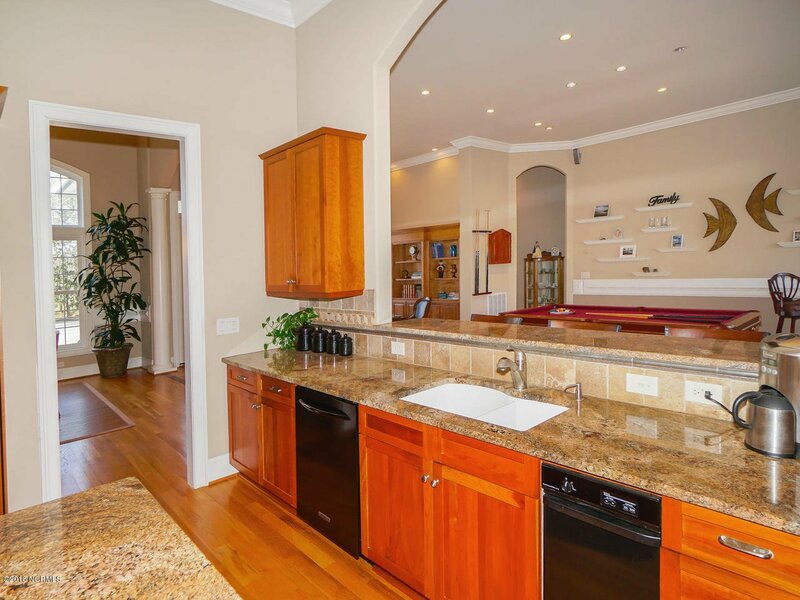 was a Parade of Homes Award Winner & has two islands w/disposals. 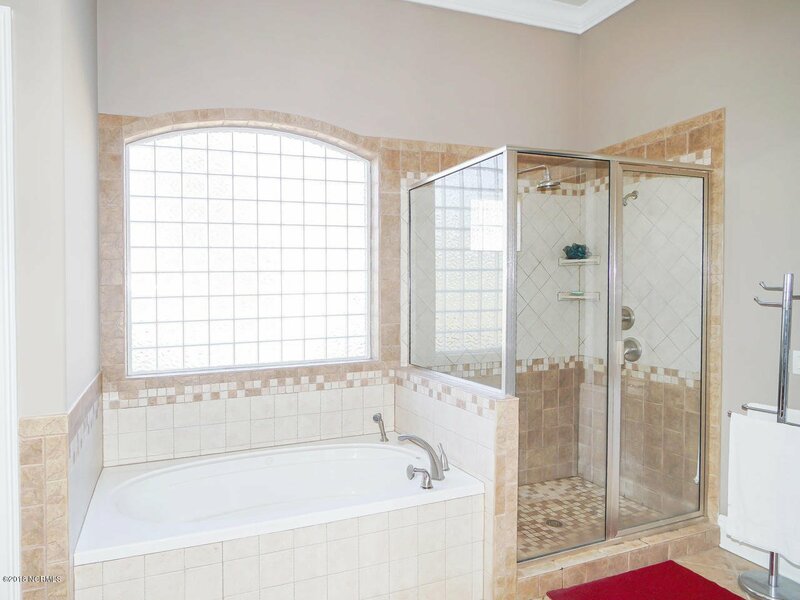 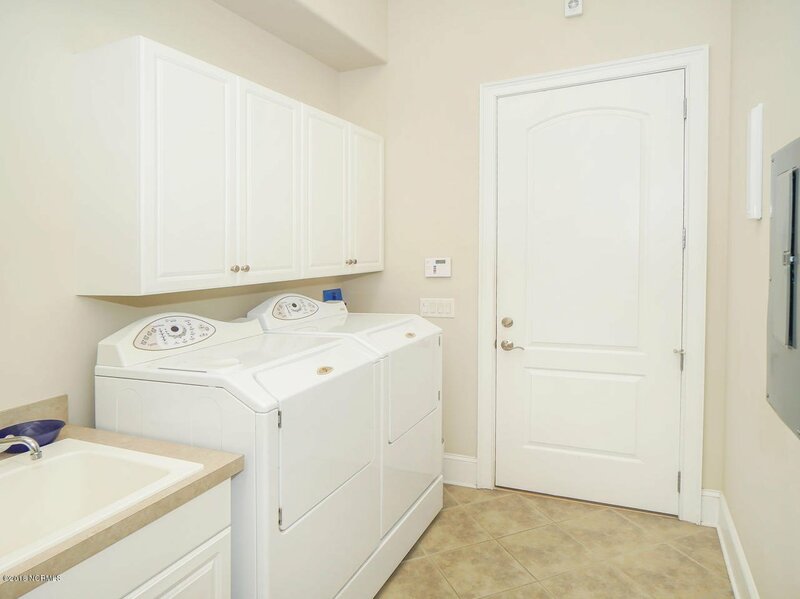 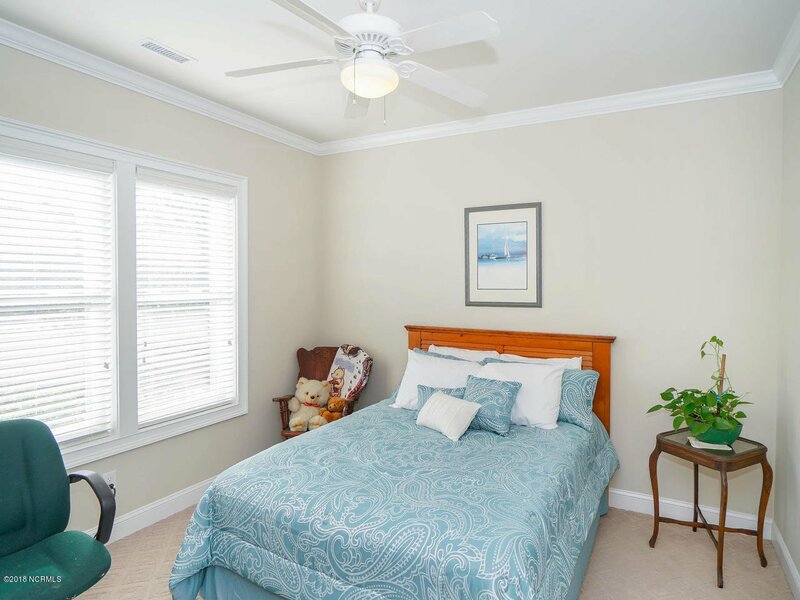 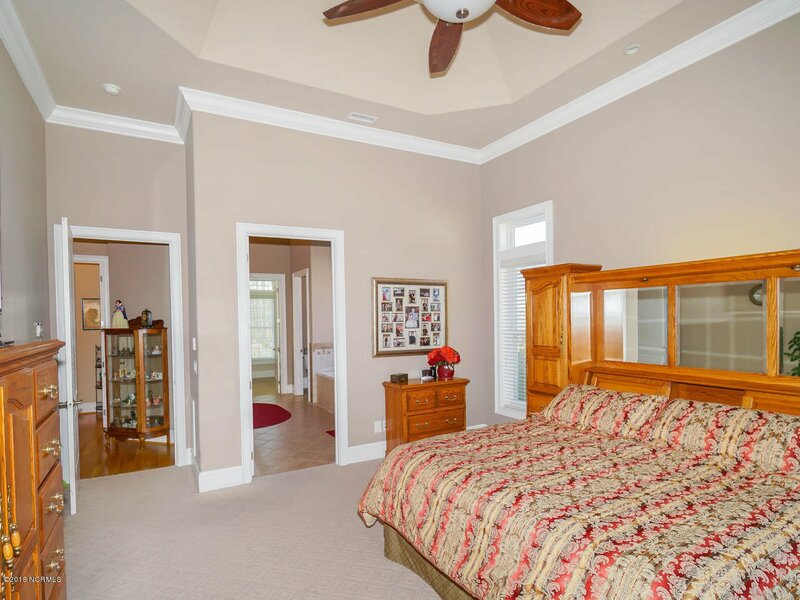 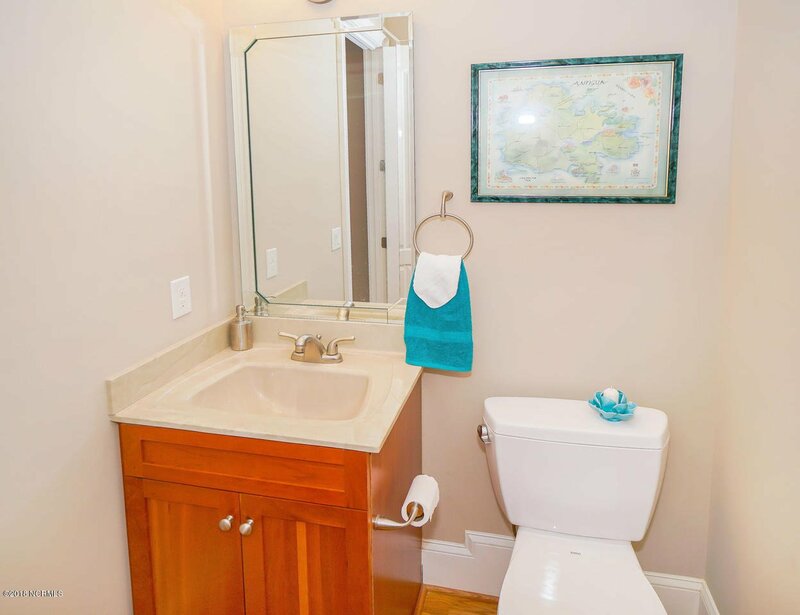 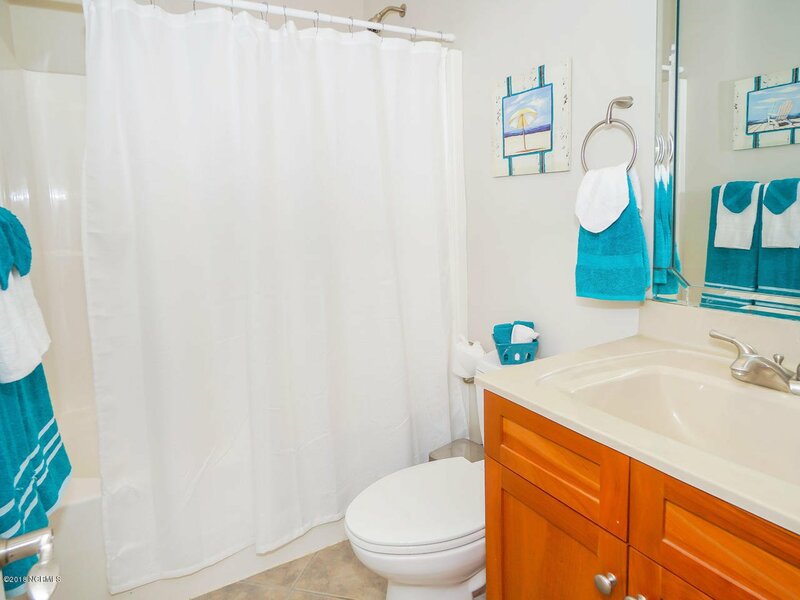 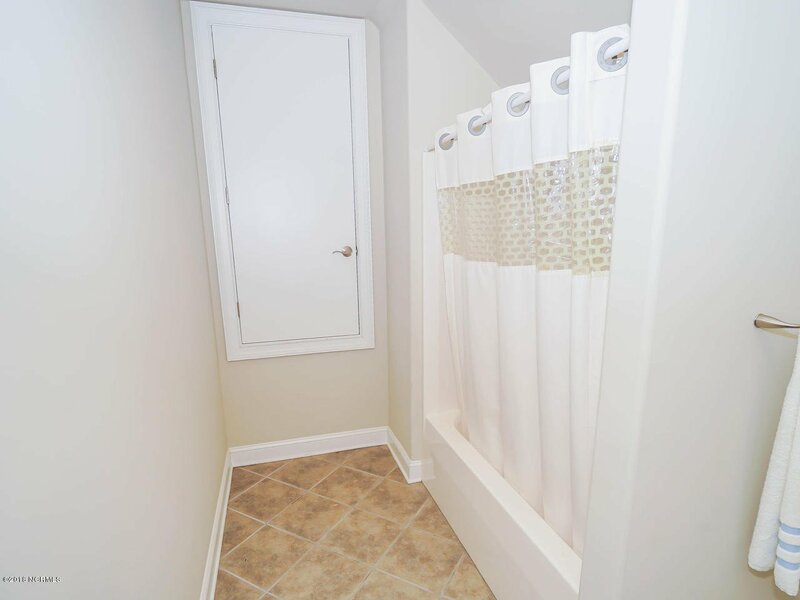 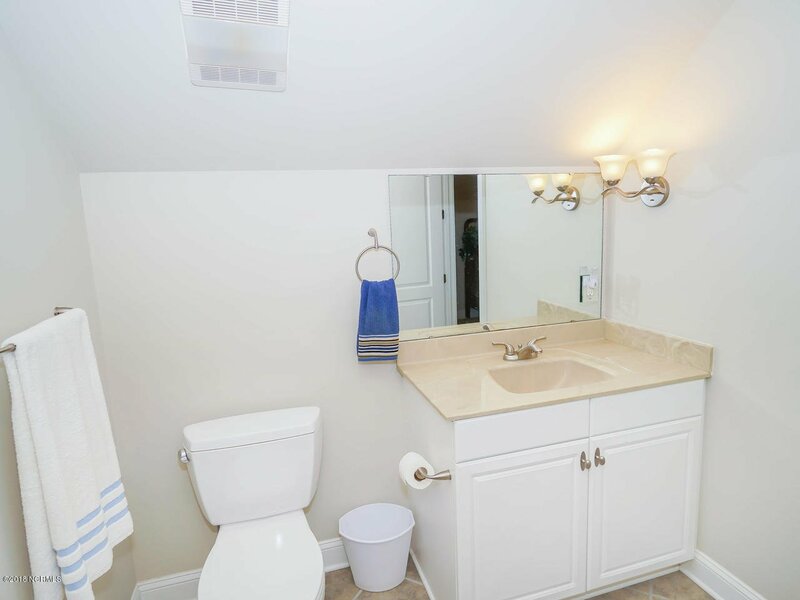 You will love the master ste w/huge walk-in closet & amazing en-suite. 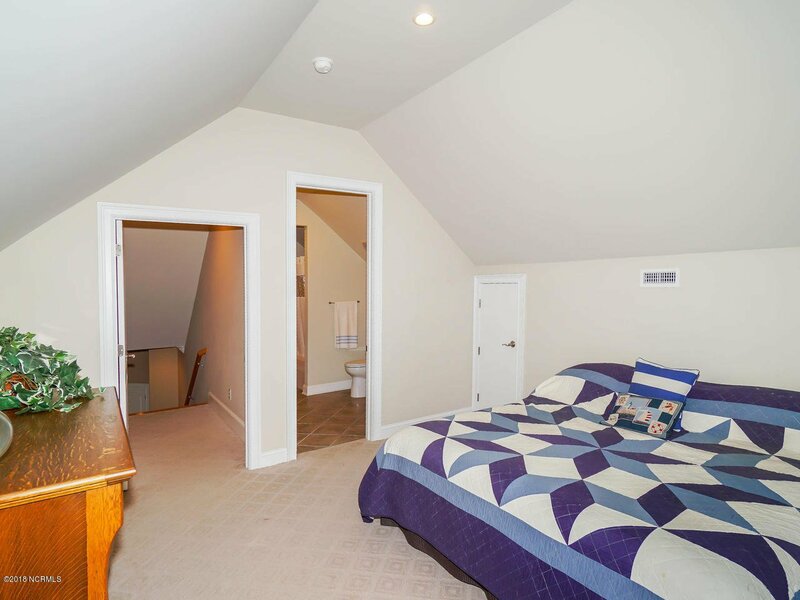 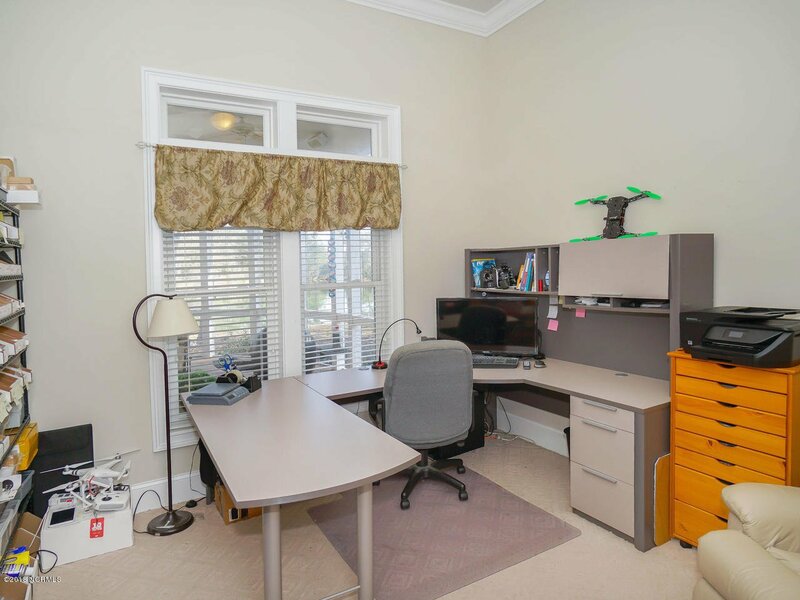 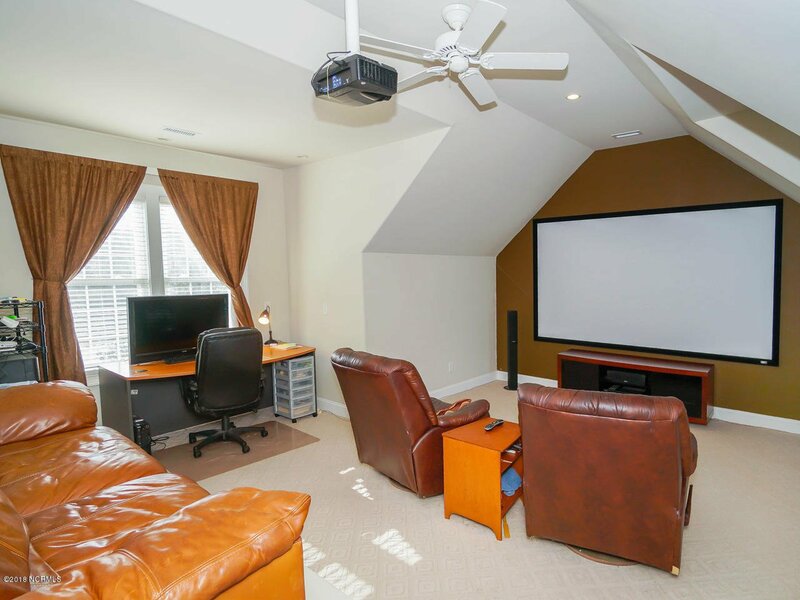 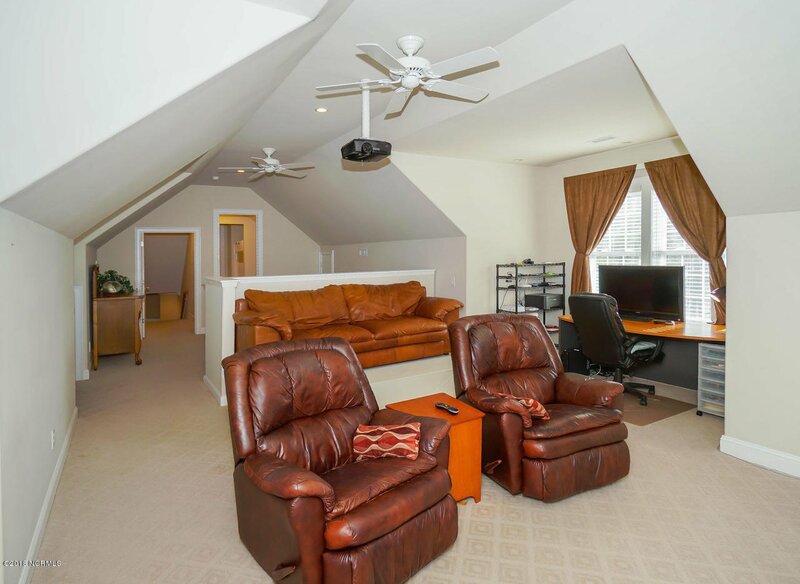 There is also a media room upstairs plus bedroom & bath.